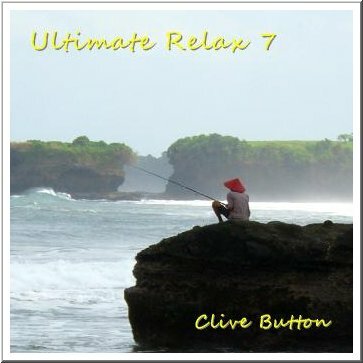 The seventh Ultimate Relax album by now needs no explanation as to its general content. We have already established a fairly well trodden path to relaxation with the previous 6 albums in this series. Many now used by Yoga teachers throughout the world. 10 more tracks take their place amongst those considered to be my most relaxing compositions. I still find it so exciting to produce a new track and still just as much a challenge to make them enjoyable as well as always interesting melodically and rhythmically. I am constantly finding new ways to produce just the right atmosphere for a track with combinations of hypnotic sounds and rhythms combining together to create music that allows the listener to just drift away on a magic carpet ride of sound. Each track is as always carefully considered before it is allowed to take its place on one of the Ultimate Relax albums. Only the very coolest tracks make it through the selection process to produce the ultimate in relaxation for the listener. The music will surround you, often using movement within the stereo sound field creating hypnotic effects as melody lines, accompaniments, delayed repeats and reverberations gently whirl around you giving a feeling of drifting calmly about within a giant flotation tank filled with soothing sounds instead of water. Yet another collection of the ultimate in laid back, relaxing tracks and already I am being asked when the next album in the series will be released. So enjoy escaping into the magical world of fantasy that lifts you out of the mundane and ordinary. Grab it while it’s cool.